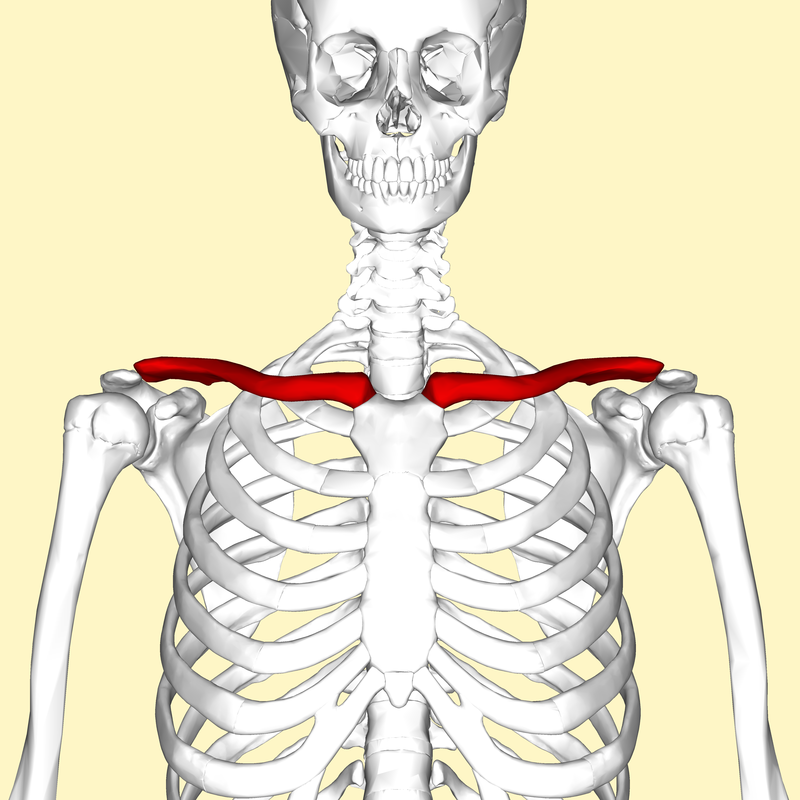 The chest can be split into two parts; the pectoralis major and minor. There are two camps when it comes to chest training. One that claims that you can’t focus on specific parts of your chest (eg. Upper chest, lower chest, etc), while the other claims that you can. I am split between the two. You can’t completely isolate the upper chest. When you do an incline bench press, your entire chest will be activated. But I believe that to build muscle, you have to consciously contract the muscle that you are working (known as the mind-muscle connection). Pumping out a bunch of reps on incline bench press might not target your upper chest the way you want it to. But if you perform the incline bench press in a controlled manner, and focus on really contracting/squeezing the top of your chest, you will see a difference. A trick that you can use to learn how to squeeze the muscle is to close your eyes during the set, and visualize exactly what you want your chest to do. Intent is needed to optimally stimulate growth. Both barbells and dumbbells have their pros and cons. In general, I have found that barbells are superior for developing overall strength in your pressing, and dumbbells are superior for stimulating growth in your chest. The reason why I prefer dumbbells for growth is because they allow you to go through a greater range of motion than barbells. With dumbbells, you can have your arms wide at the bottom of the movement to fully stretch your chest, and then have your hand close together at the top to fully contract your chest. With a barbell, you hands are in a fixed location during the entire movement. It’s much easier to consciously contract the muscle you’re intending to work with dumbbells, and they have actually been shown to reduce triceps involvement when compared to barbell pressing movements (http://www.tandfonline.com/doi/abs/10.1080/02640414.2010.543916#.VQhvpoHF9XY). A great trick you can use to make dumbbell movements even more effective for your chest is to pronate your arms. 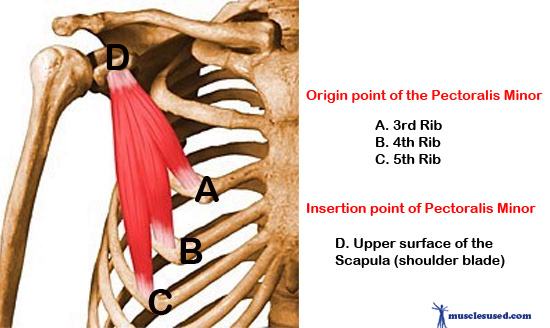 The reason why I do this relates back to the anatomy of the pec major. 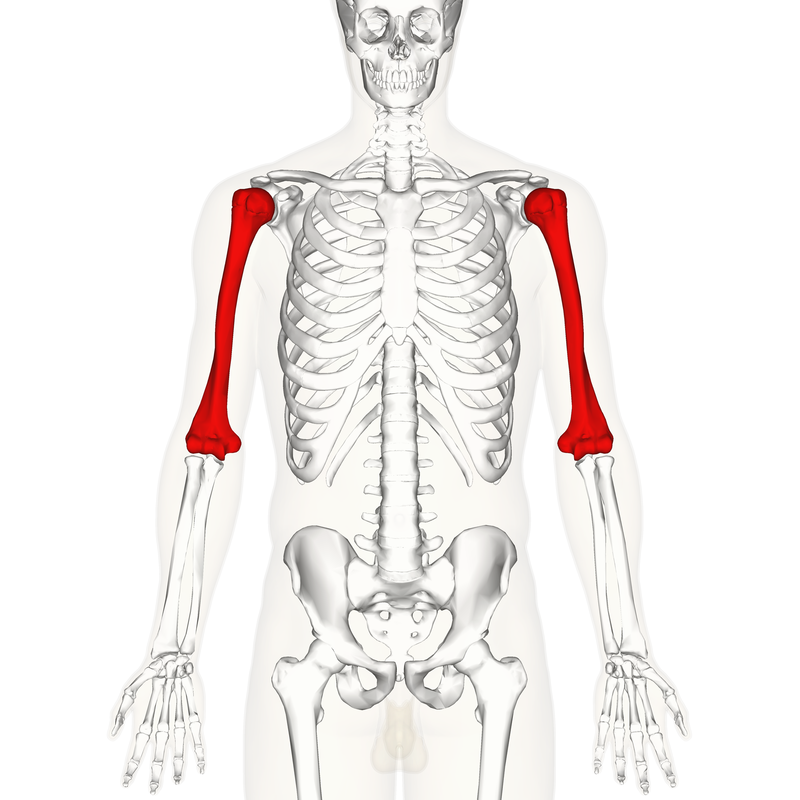 The pec major attaches on the humerus, and plays a role in medial rotation of the arm. 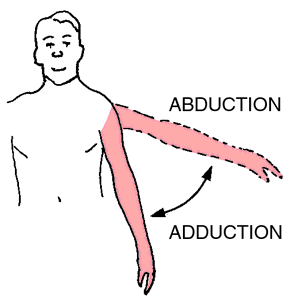 Pronating your arm is a great cue to initiate medial rotation of the upper arm. This allows the chest to be maximally contracted. This can be seen here. Notice at the bottom of the lift, the hands move in a supinating motion, and then at the top, the hands pronate. This allows you to stretch your pecs at the bottom of the movement, and then fully contract at the top. Barbells are great for developing overall strength in your pressing muscles. When using a barbell, you are can lift more weight, and you are stimulating your triceps and deltoids to a high level, rather than just your chest. Both of these factors lead to an increase in strength. A good chest routine for aesthetic/bodybuilding purposes will include both barbell and dumbbell work. I would recommend 3-4 movements for your chest, while including incline, flat, and decline work. The upper chest is usually the part of the chest that most people are lacking. The easiest way to target this part of the chest is to train on an incline. Now, keep in mind that the larger the angle of the incline the more the deltoids will be brought into the movement. I find that the angle that allows to me to hit my upper chest in the best way is around 40 degrees. Once I start getting higher than that, I feel fatigue in my deltoids before I feel it in my chest. Incline dumbbell press is one of my favourite chest exercises. Dumbbells really allow you to work through the full range of motion, and let you squeeze your chest at the top of each movement. A mistake that many people make while performing this exercise is hitting the dumbbells together at the top. This usually suggests that you’re not maintaining control over the weight during the entire movement. Instead, it is best to stop with about an inch between the dumbbells. This allows for a good contraction while maintaining control of the movement. Incline barbell bench press is also a great movement, but I am not too fond of it personally. I find that it places a lot of stress on my shoulders/rotator cuff. Many coaches suggest that it is not necessary to touch the bar to your chest for this exercise. It is best to stop about an inch or two above your chest, because going lower can place unnecessary stress on your rotator cuff. Flys are a great exercise. The same trick described under the dumbbell or barbell section with dumbbells can be applied to flys, whether they are on an incline, decline, flat bench, or a machine, This can be seen here. 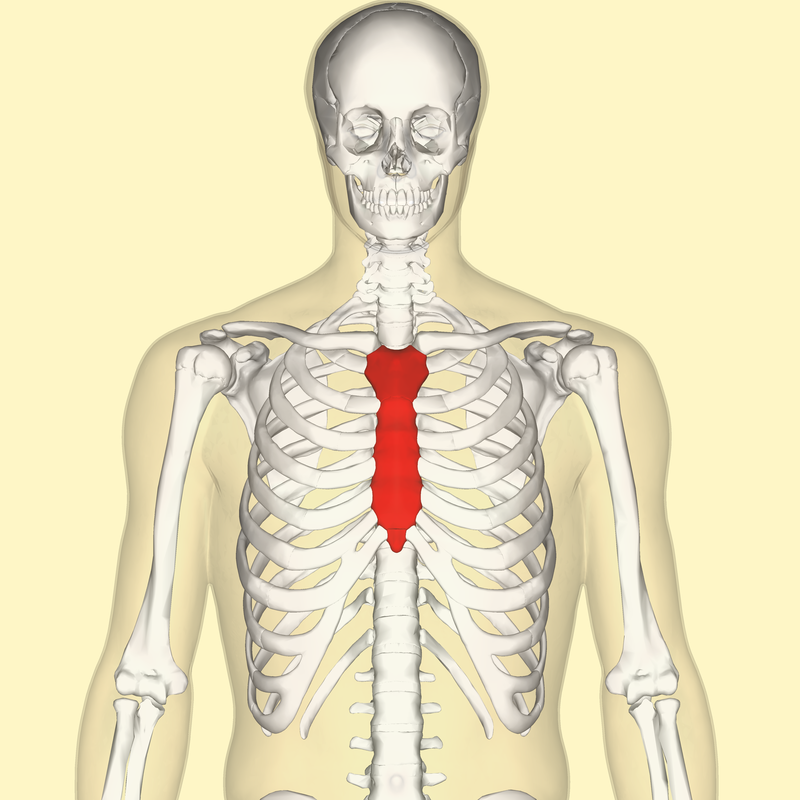 This part of the chest is often associated with flat presses. But remember, to grow the middle of your chest, you cant just perform flat presses without thinking; focus on squeezing the middle of your chest while you press. Flat barbell bench press is a great exercise for chest development, and allows you to use heavier weights than you would with a dumbbell. But unlike the incline barbell bench press, you should touch your chest while you perform this movement. With proper form, going to your chest will not place too much stress on your shoulders. 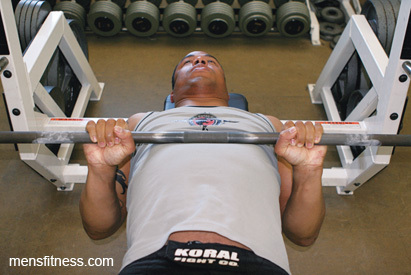 A common technique used by some lifters is bench pressing with a wide grip, and flaring their elbows out. Although this may be effective for chest development, I do not think that the risk it places your shoulders at is worth it. This puts your shoulders at a very high risk of injury, especially with heavier weights. Instead, I would recommend someone to bench press with their elbows slightly tucked in, like in the bottom of this image. Make sure you don’t tuck your elbows too far in, like in this image. For the flat dumbbell bench press and flys, the same tips from upper chest apply. Push-ups are great exercise for your chest, no matter what your experience is. For advanced lifters, they could be a great way to finish of your chest workout, or can go great in a super set with a lift such as flys. For a beginner, they are a great way to progress on to the bench press, and develop pressing strength before moving on to weights. 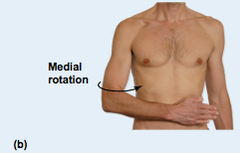 The lower chest is often the most neglected part of ones chest. 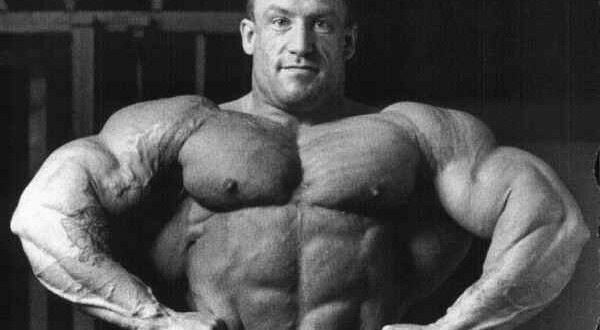 Dorian Yates has stated that he believes that the decline barbell bench press is the greatest chest movement for overall chest development. Some studies have even shown that the decline bench press causes the most activation in the chest when compared to other exercise. The decline bench press also places significantly less stress on your shoulders than the flat press would, and especially the incline bench press (the more of an incline you are at, the more shoulder involvement. The more of a decline you are at, the less shoulder involvement). Given all of this, I personally do not like the decline bench press because it feels awkward to me. But if you don’t mind it, I would 100% recommend for this to be a part of your routine. You can’t work only the upper chest for example, but using an incline and consciously focusing on contracting the upper chest will really benefit you. Dumbbells are great for muscle growth and barbells for strength development.